Japan owns the pride of having Mount Fuji naturally which is the highest mountain here. Mt. 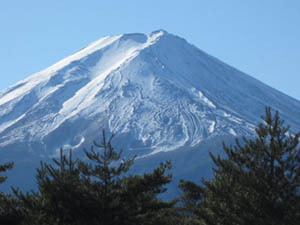 Fuji situated at the border of two regions called Shizuoka and Yamanashi. It is located on Honshu Island. With an unparalleled majesty and a beautiful cone shape Mt. Fuji won out many selections in the paintings and literature. It is a gigantic symbol of Japan. â€œFujisan Hongu Sengen Taishaâ€ Shrine is present at the foot of Mount Fuji which is the headquarters of 1300 Sengen Jinja shrines in Japan. Climbers use to worship the shrine before climbing up the mountain. In “Yabusame Festival”, the Japanese Samurai performance will be held here every May with bows and arrows on the horse in the shrine. Mount Fuji is an ancient mountain worship place of Japan. Today it has turned to be a popular mountain to climb and many people climb the mountain to watch â€œGoraikoâ€ the sunrise from the pinnacle of the mount. Access to the 5th station has been made easy and well maintained; so that the tourists can go up to the point and enjoy the mountainâ€™s radiance very nigh from May to November. Every year more than 2, 00,000 people climb the summit. About 30% of the climbers are foreigners and rest Japanese. The climbers can climb the mountain only in July and August. Climbing the mount is not an easy job. The temperature at the tip of the mountain would be deadly low and may fall down below -35 degree Celsius. Climbing season in the Mt. Fuji starts at the early July and ends in August. The daytime temperature will not be higher than 41Â°F and August the temperature will be not more than 44Â°F. In these months trails and mountain amenities open. The mountain will be free of snow along with mild weather during the time. People who are amateur in climbing advised to tackle the climbing during the official climbing season. Climbing the summit is a peril from October to mid-June. Those months have extreme gushing wind, bad weather condition, snowfall with a risk of avalanches. In the climbing season, climbers will have to pay 1000 yen per person at the collection stations at each trailhead as a climbing fee. The money will be useful for spending to some expenditure during summer, especially to protect the environment and take safety measures for the climbers. The climbing follows four different trails and it usually takes 8-12 hours to ascend and 4-6 hours to descend. Many climbers fix their ascent to witness the rising sun from the summit. 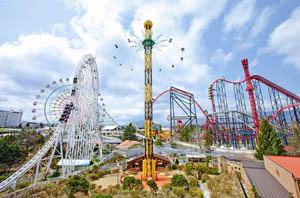 Fuji Q is a famous amusement park that features with Japanâ€™s fastest, longest, steepest and tallest roller coasters. You can view Fuji exactly from a roller coaster that drops at 172 km/h. This festival usually starts from late April to late May in Fuji Motosuko Resort, Fujikawaguchiko. 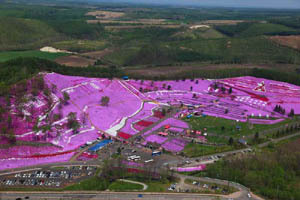 In this festival, tourist can view about 80,000 blooming Shibazakura (mountain phlox flowers) fill 6 acres of sloping hills with brilliant red, pink and white flowers. It is really an awe-inspiring. Hakone resort town located on the edge of Mount Fuji which is well known for its Onsen and Ryokan. It has been a weekend spot for Tokyoites. Hakone is being a popular Tokyo side trip among international tourists. This coastal town is popular for its majestic Buddha, temples, historical attractions, surfing beaches. You can view Mount Fuji clearly from Kamakuraâ€™s beaches. It is the best destination for shopping (Gotemba Premium Outlets) near to Mt. Fuji. The mall encompasses 50 restaurants, a Ferris wheel, and around 200 shops. Tokyo Sky Tree, Iyashi no Sato, Enoshima, Lake Kawaguchiko, Itchiku Kubota Art Museum, Oshino Hakkai, Ko no Hana Museum, Sengen Shrine are the notable places to visit in and around Mt. Fuji. You can see many hotels, restaurants, lodges, resorts at the foot of Mt. Fuji. Luxury to budgetary accommodation is available there according to your convenience.